Mirror, mirror, on the wall, who's the fiercest fandom of them all? Is it Adam Lambert's Glamberts? Justin Bieber's Beliebers? Or the fanbase that started it all, Eminem's Stans?We're putting it to the test. 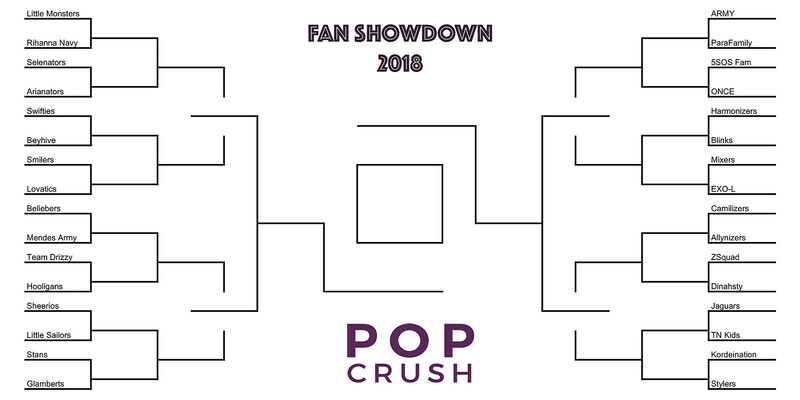 You can view the full bracket here and vote in the male solo artist quadrant below. The battle begins now!